Every wedding needs wonderful food and drink and thanks to the amazing team at Galloping Gourmet, you’re guaranteed a memorable feast at Clock Barn. We love seeing (and sometimes sampling!) all the delights that the chefs create and seasonal delicacies are always our favourite. Let’s start with drinks for long summer days and, if the temperature is soaring, your guests will definitely appreciate delicious beverages even more. 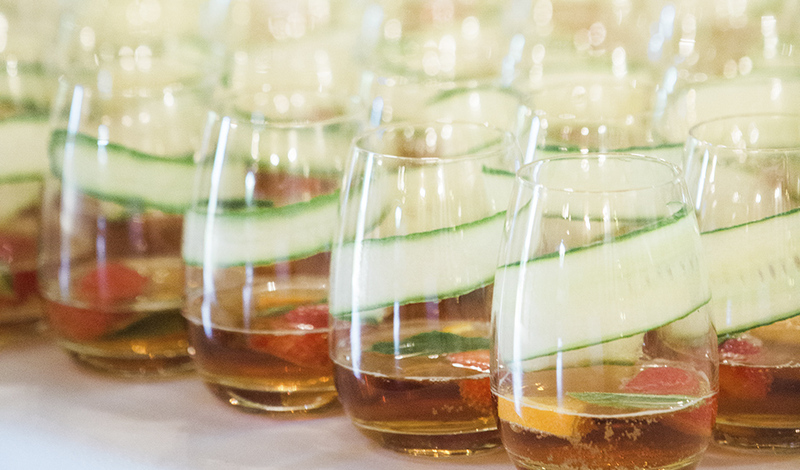 What could be more perfect for a countryside wedding than Pimms? Served with a twist of cucumber, it’s refreshing and utterly English. If you’d like a really rustic look, use cute Kilner jars instead of glasses. Finish with a striped paper straw and you’ve got a fab look for a barn wedding. Alternatively, a beer barrel is always a great idea. 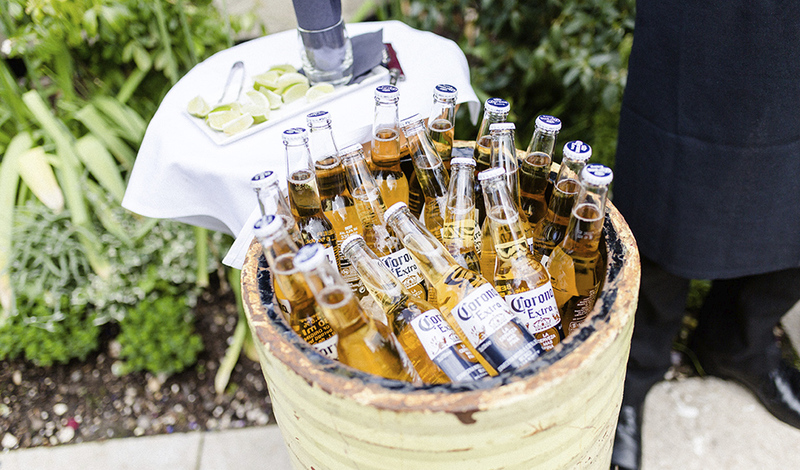 Let your guests simply pick a perfectly cooled bottled beer from a barrel and enjoy. We’ll even provide a twist of lime for that authentic warm weather feel. 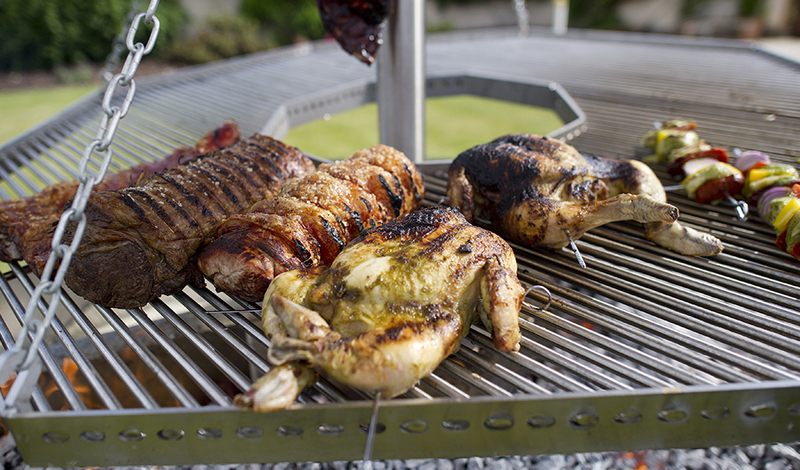 When it comes to food, what could be better for a summer wedding than a BBQ feast? 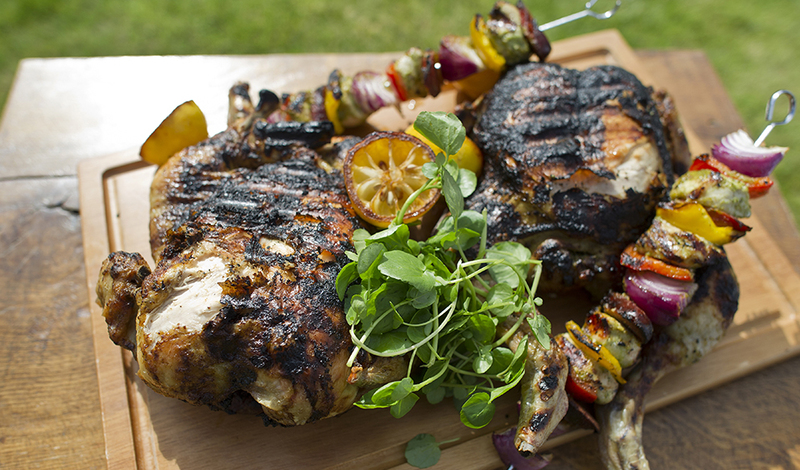 Imagine perfectly cooked meats (and vegetarian options, of course) and a whole host of scrummy salads. In the evening, fantastic wood fired pizzas will keep your guests dancing all night long and, for the perfect sweet treat, it just has to be ice cream. 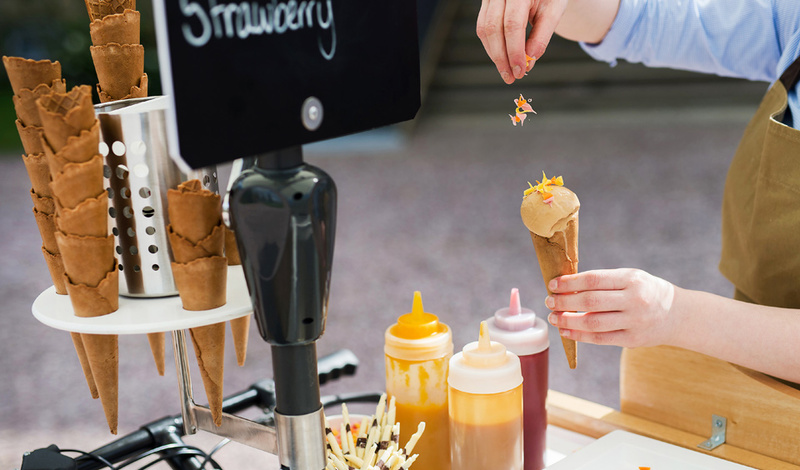 Galloping Gourmet can now offer you hire of their very own vintage ice cream cart and this really has to be the ultimate summer indulgence. When you’re planning a summer wedding, you really have to get outside and we definitely want you to enjoy our gardens and the country setting here at Clock Barn. We also want you and your guests to really enjoy themselves so some great entertainment is a wedding must-have. Firstly, let’s think about games and what could be better than traditional garden games? 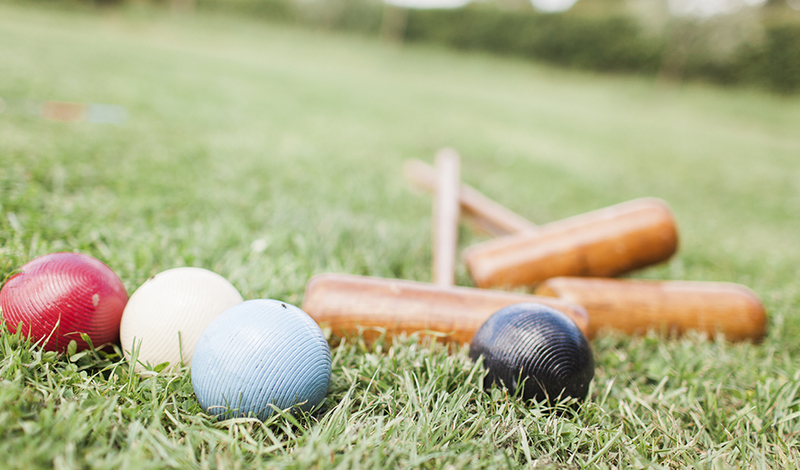 Croquet is always a big hit with guests of all ages and it’s also great to watch, even if you’re not playing. 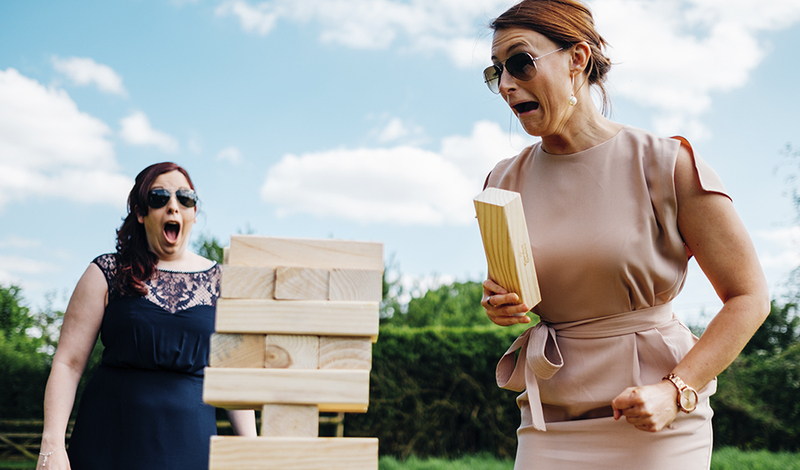 Similarly, boules is also a lot of fun and we love giant games too – why not hire huge Jenga, chess or even Connect 4? Mini treasure hunts for children will keep them active or set up an area for them, under a shady tree, with colouring books and games. 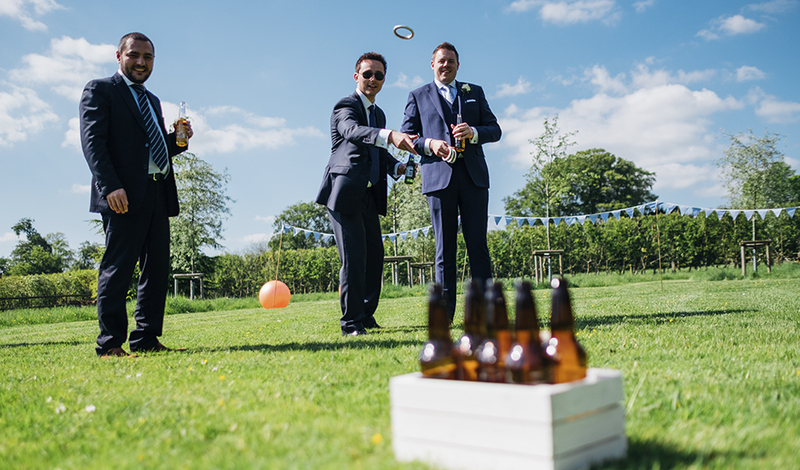 Traditional summer games are a super popular choice too and lots of couples even DIY their own. Take your inspiration from fairgrounds and amusement parks to create skittles, hook-a-duck, coconut shies and many more. 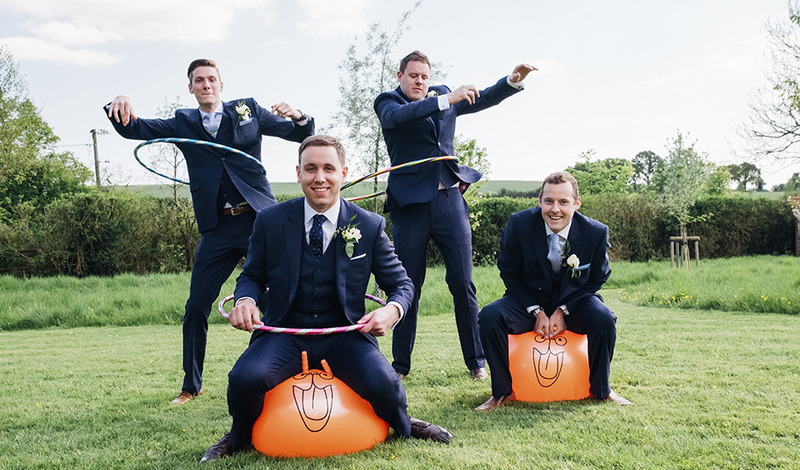 Alternatively, if you’re feeling a little bit competitive, old-school sports day races can be absolutely hilarious – don’t forget the hula hoops and space hoppers! Music always makes a wedding that bit more special and what could be better than relaxing in our gardens listening to brilliant acoustic musicians as you sip a drink and nibble a summery canape? 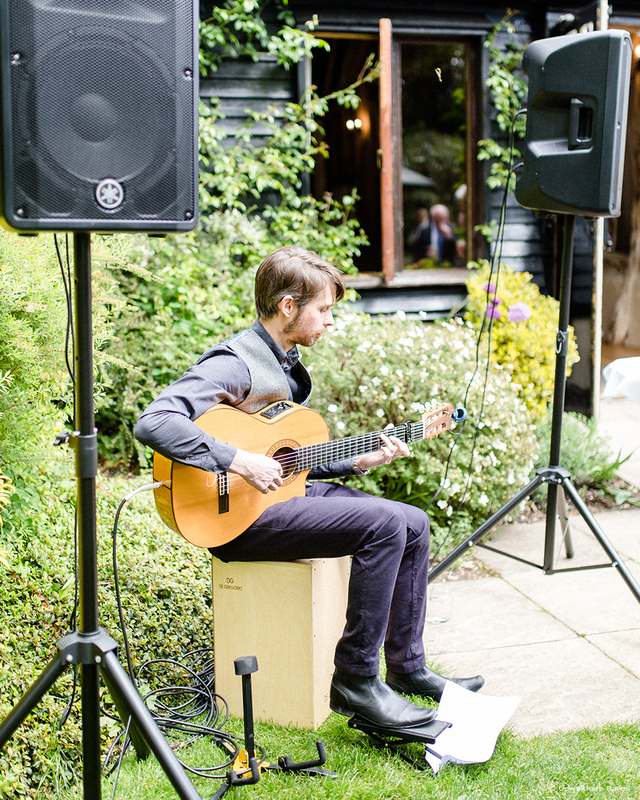 Guitarists always work really well but any live music will certainly create the perfect summer wedding vibe. If you’d like to see what other Clock Barn couples have chosen for their summer weddings, keep an eye on our Instagram feed or Facebook page. There are always heaps of seasonal ideas here!